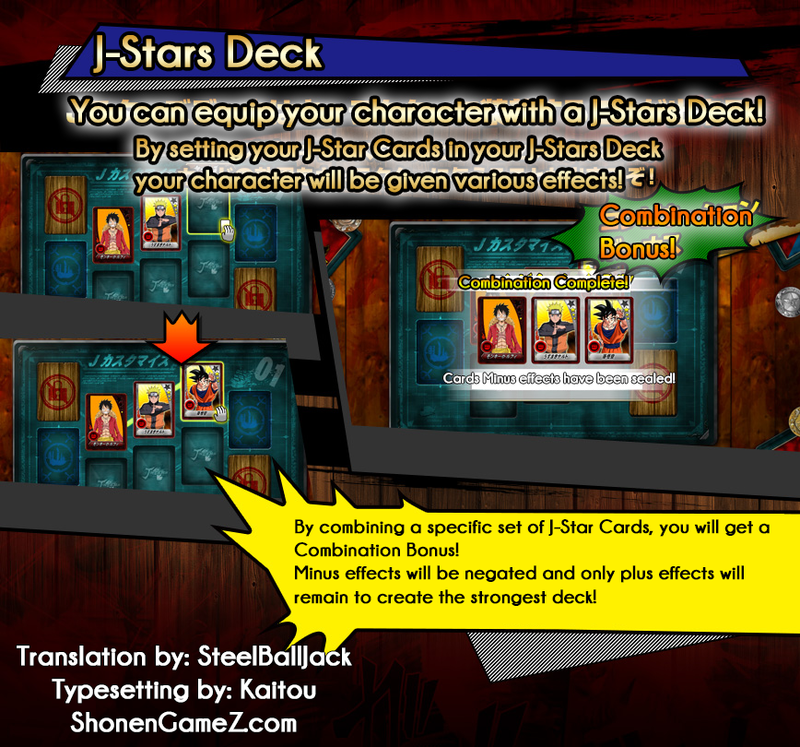 Here’s another batch of translations that came in today with some interesting news! You can complete Victory Road missions with a friend (which would be the most recommended option for those who don’t trust the AI). 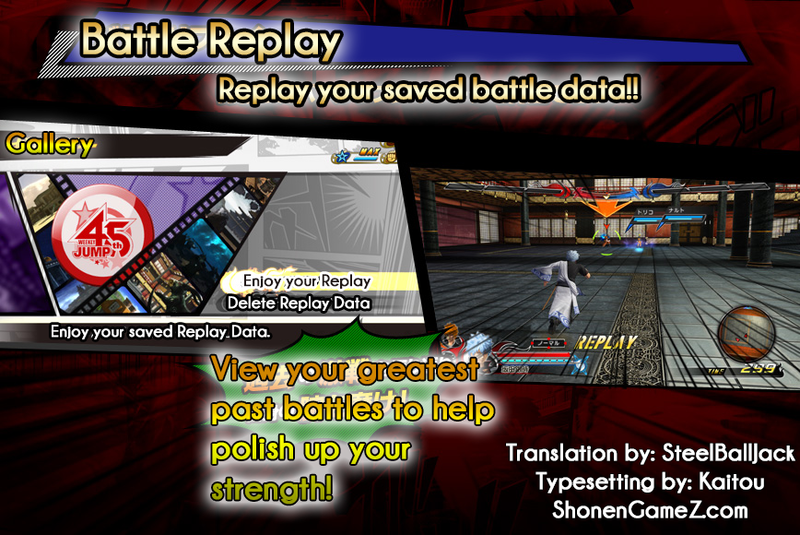 There are other interesting details such as the “Battle Replay” mode where you can record your fights and view them whenever you like. 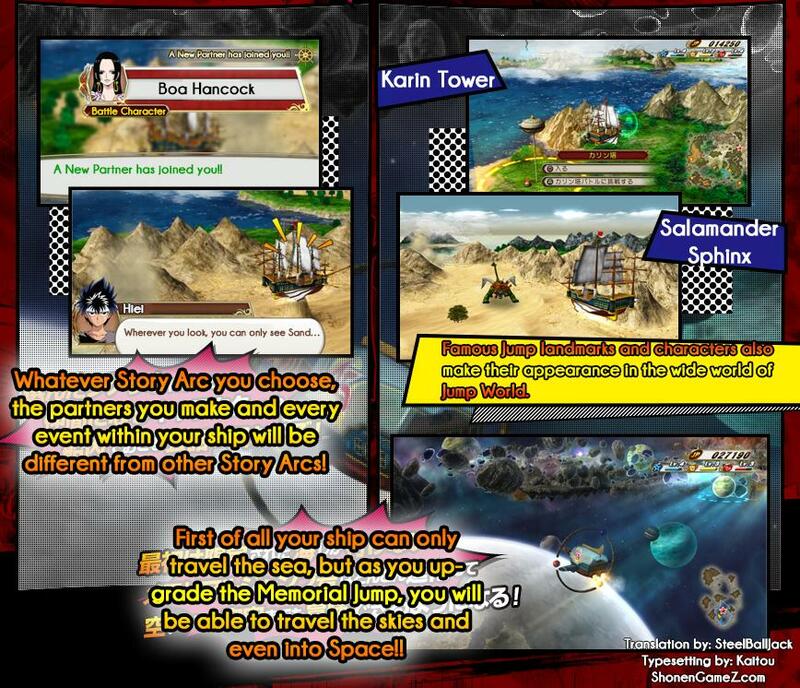 Check out the images below and stay tuned for more translations. 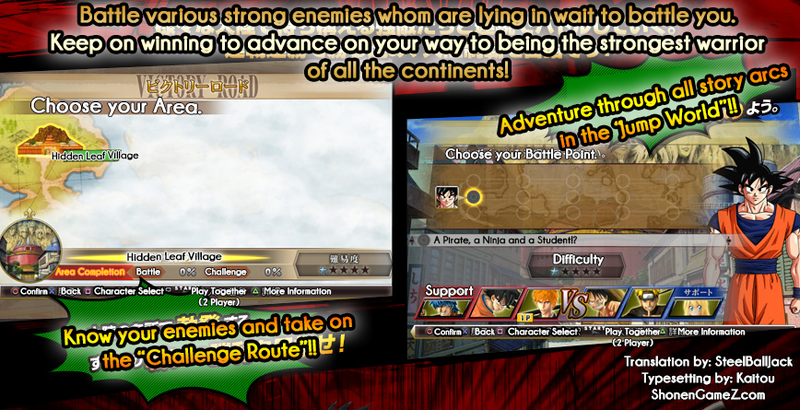 J-Stars Victory Versus – Villains Scan Translation! 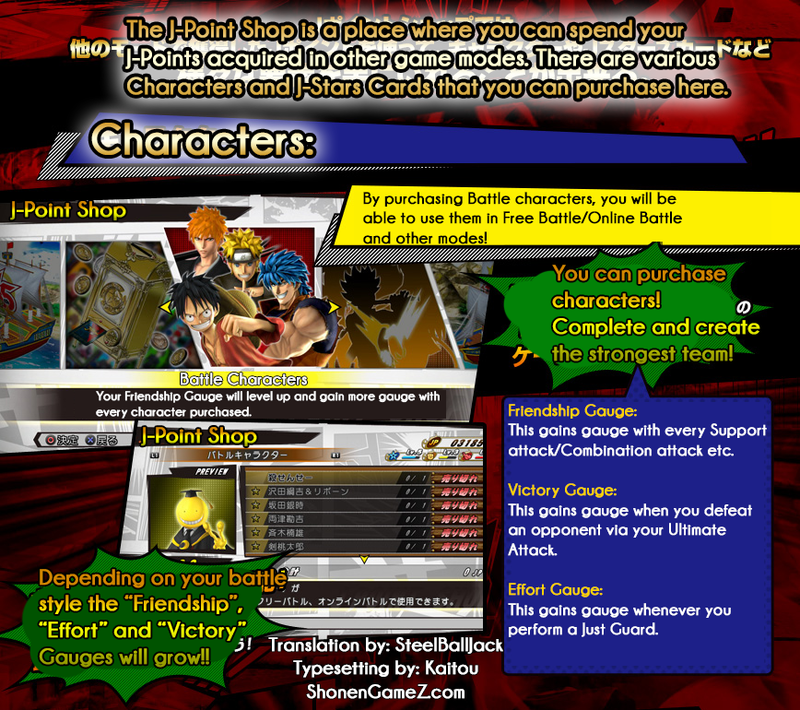 A Co-op mode huh! I love it! Here’s hoping this works without being split-screened too. 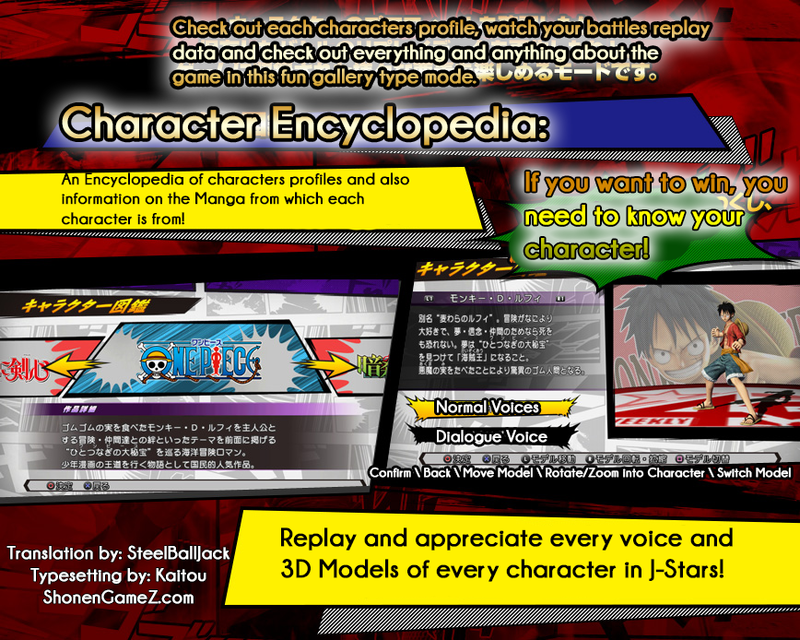 Sweet, Battle Replays AND character viewer! 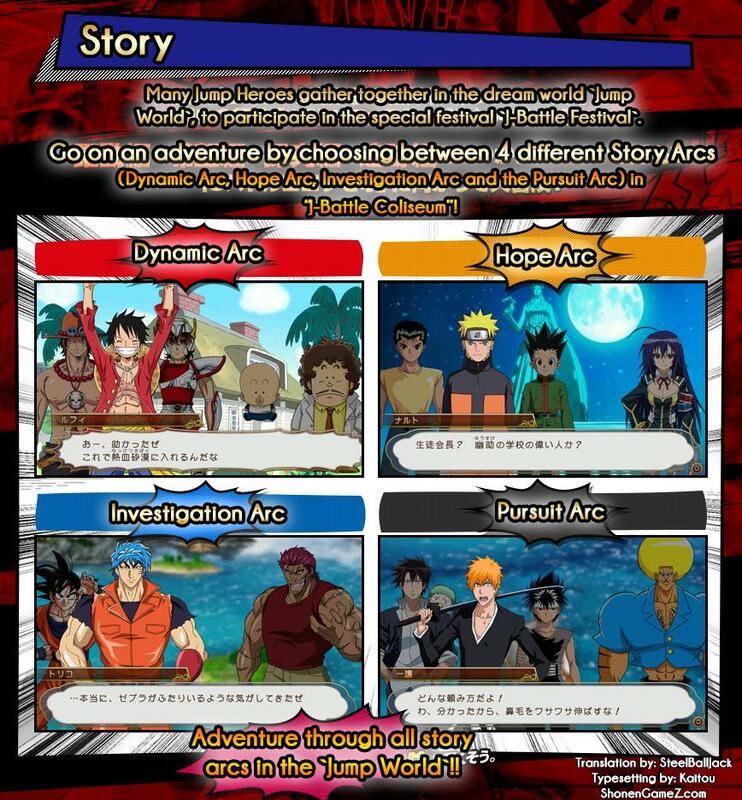 Not story mode. Victory Road. Victory Road is like the arcade. A big THANK YOU for the translations. 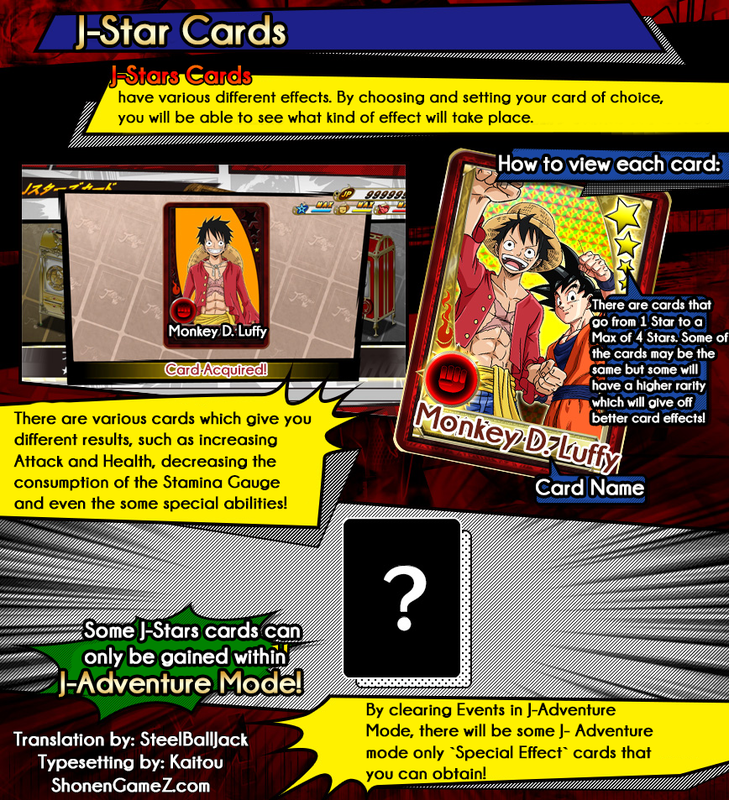 I wonder what special abilities can be unlocked with the cards. Love you too lol. 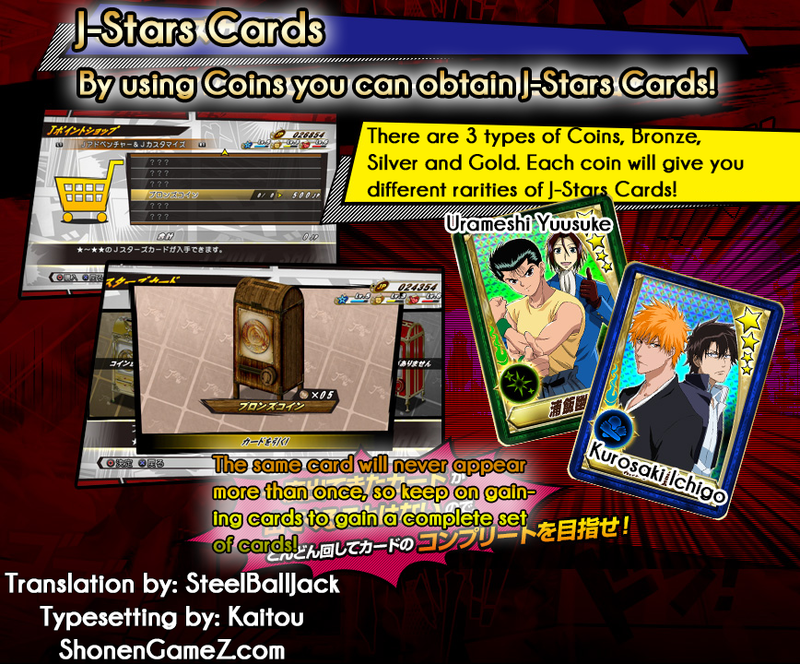 We’re expecting a J-Stars Booklet a couple hours from now. 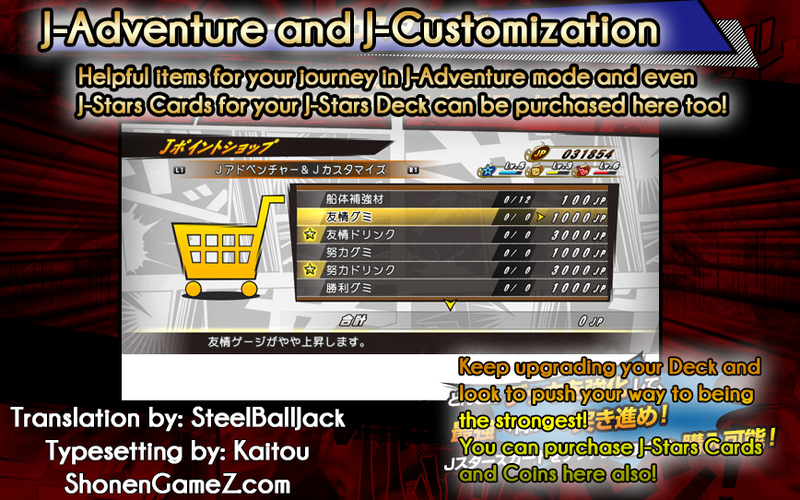 We’ll try to get that translated as well. I love you to bro…We love all our supporters. What I love in this game is the way it encourages the “learning”, the replay is there mainly for self analysis, to see the results of strategies, not only that but the “effort gauge” (probably something necessary for 100% grinding) is filled by pulling the “just guards” successfully, this is not an easy task I assume, so whoever beat the game at 100% of 100% is guaranteed a competitive player, at least imo.